Into the Comet. Ice all around them, floating in great bergs, the crew of Challenger peer out on disaster. Will they never see their homes and families again? Will they never return to beloved Earth? 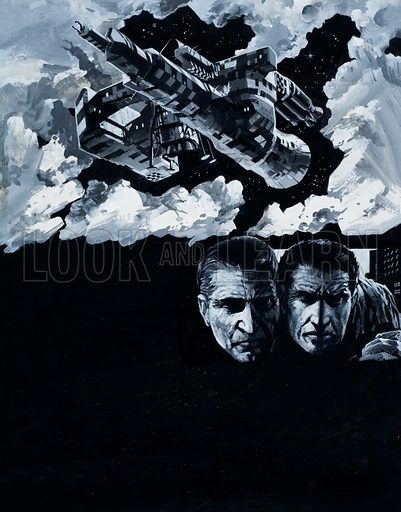 Original artwork for illustration to an Arthur C Clarke story in Speed and Power issue no 3. Lent for scanning by the Illustration Art Gallery. Available worldwide for immediate download up to 3,537 x 4,524 pixels.